We’re proud of GOV.UK, and how much we’ve achieved in such a short time. But an unintended consequence of that pride might be that we sometimes give the impression we think GOV.UK is perfect. The opposite is true. 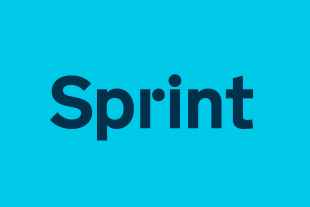 While GOV.UK has already made things better for lots of users, our ambition remains sky high. Far from patting ourselves on the back for a job well done we’re actively seeking out ways in which to improve what we’ve made, and to build on the foundations of the single domain. This isn't the first time we've said so, but it’s worth repeating again. We know we need to keep making GOV.UK better. We care about all of its users. We keep listening to what they tell us about the ways in which we’re not meeting all their needs. And every day, we work to improve it. Just 4 years ago, there were 14 people in a room, pondering how to create a single platform for government publishing. As of the end of December, we’ve moved more than 300 organisations’ services and information to GOV.UK, scaling our operations rapidly as we went. It was ambitious to make so big a change so fast, but moving at speed was the only way to do it - to minimise confusion for users and create the momentum to bring government organisations with us. We did a lot to understand users’ needs and join services and information up as we moved it all to GOV.UK, but doing so properly only really becomes possible now we have everything in one place. That is one reason why we have always said GOV.UK isn’t finished, and never will be. 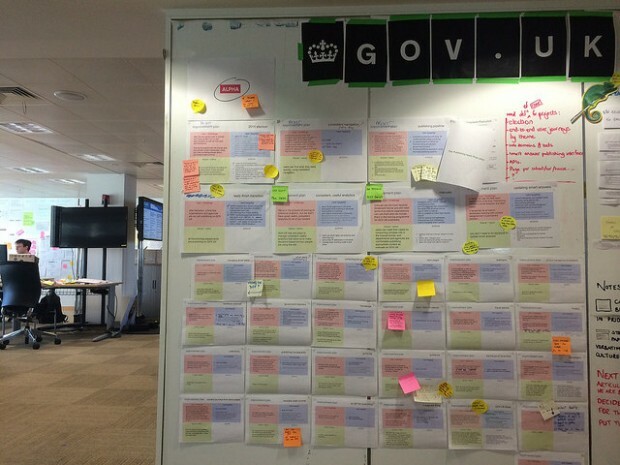 Pop into our office in Holborn right now and you'll see a team of people obsessed with making GOV.UK better, you’ll see whiteboards plastered with information about known problems we are trying to solve, and a wall full of improvement plans which describe the vision for GOV.UK as a whole. I lead the product management team for GOV.UK, and problems are the currency of our job. Mine and my fellow product managers’ focus is on discovering users’ problems with GOV.UK, understanding them as well as we can through research and data, prioritising which problems to fix first and combining the talents of researchers, analysts, designers, content designers and developers to build and test solutions. We have some really hard problems to solve, and we don’t pretend to have all the answers. So we put changes out there, observe how they’re used and iterate again. On our Inside GOV.UK blog, we regularly publish a roadmap sharing the prioritised list of improvement work and our longer-term goals, and we blog fortnightly about progress - here’s a recent post. We invite comment from anyone who wants to influence what we prioritise next. A misconception we sometimes hear is that GOV.UK is just for citizens and small businesses, and that the specialist needs of more frequent users are less important. That’s not right. One of our design principles is ‘be consistent, not uniform’ and we remain true to that. While we are unapologetically unifying and simplifying the experience of interacting with government, it’s not a “one size fits all” approach. We’ve invested heavily in the past 9 months in meeting the needs of professional users, as content from 300+ organisations transferred to GOV.UK. We’ve built nearly 280 specialist topic groupings and several bespoke filtered search interfaces, all with email notifications to help professional users stay informed; we’ve created new formats including one for HMRC’s tax manuals; and introduced directories of services and information on organisation pages like this one for the Environment Agency. And we put in place redirections for more than 1.8 million legacy URLs to the relevant page on GOV.UK or an archived copy. There’s loads of room for improvement, of course, and we’ll continue to invest in meeting the needs of frequent users better. For instance, right now we’re working hard on improvements to search and navigation. The long tail of government information is long, and it will take time to overhaul and re-categorise all of it - but that’s our ambition. And we care just as much about users of policy and transparency content - people with a need to know what successive governments are doing and to hold them and the civil service to account. So we’re working on improvements to the policy format and ensuring we can preserve the public record in the handover from one government to the next. Publishers around government are our users too, and we’re continually making improvements to the tools and workflow to help them create and manage content better to meet all end users’ needs. We pay close attention to everything that’s written about GOV.UK online, but the most constructive feedback we get comes to us directly. In fact, we actively solicit it via the “Is there anything wrong with this page?” links on most pages of GOV.UK. With this functionality, users can anonymously tell us what’s wrong with the site as they interact with it. If they want a reply, users can also send questions using our contact page. When you look at our feedback numbers, the story of transitioning 300+ organisations’ content and users to GOV.UK is remarkably positive. We receive about 400-500 pieces of anonymous feedback and 300-350 named enquiries from our users each day. These numbers are incredibly low relative to the 2.7 million visits we receive per day. Low as this rate of contact is, it’s a rich source of useful feedback. It comes in to a dedicated team who either answer it directly, or route it to the right people in GOV.UK or departments and agencies who can help. Feedback relating to content and functionality gets reviewed and reflected in our improvement plans. And this feedback is just one form of data we use. We also go out and proactively recruit people to conduct research with, and we study the analytics and search logs to see how the site is used. Combined, these sources of information tell us what’s most important to improve, and how. A major theme for the coming year is to do more to expose feedback and performance metrics to help us see how well or poorly our content is meeting users’ needs. We’ve made a good start - if you put /info/ before the end of almost any URL on GOV.UK you’ll see data about how the page is performing. We plan to do a lot more in this area this year, and you can keep an eye on our blog if you want the details. GOV.UK’s best feature is nothing we’ve built so far. It’s our commitment to continuous improvement. We release dozens of incremental improvements every day, and talk about our work openly. GOV.UK is not finished now, and it will never be - it’s a continual work in progress which will adapt and improve all the time to better serve the needs of all its users. Follow Neil on Twitter, and don't forget to sign up for email alerts. "If you are aren’t disabled"
"far less popular with the public than the collection of government sites that it replaced. And arguably more expensive... GDS had a far poorer understanding of what the public actually needed than the relevant government departments did, according to GDS’ own internal analysis…". Yet those wh didn't spot the Register's piece would never have learnt of it from this article. To respond to a criticism without mentioning or linking to it is frankly mealy-mouthed and dishonest: if you’re addressing “misconceptions”, then you should quote and link to them, not pretend they don’t exist. So much for engagement and an open, honest conversation about the future of government online. Good 'lalalala can't hear you' attitude to critics. Glad to hear its GDS is not finished. What about the websites of the hundreds of government websites which are still maintaining separate websites? Why have they not joined gov.uk? I would like to see proper explanations for why each have not migrated. Right now it is a very unsatisfactory piecemeal solution. Admittedly, the goal was huge, but we are now seeing 'job done' stories on here, when in reality only the low hanging fruit has been cherry picked. We accept that it will take time, but where are the plans? in addition to the hundreds of NHS websites, hundreds of local authority websites, 50+ Police forces and 50+ Fire and Rescue Services. I enjoyed seeing the individual government websites. They had character and were much preferable to a bland page like now. I would like to see some "departmental" character replacing the bland "one fits all". I wish our government was capable of this type of work. Regards from the USA. Love this. From across the pond, this U.S. gov nerd content wrangler salutes you.